The belfry of the old brewhouse contains a carillon of 32 bells, 23 of which were specially cast by the Royal Dutch Bellfoundry, Petit and Fritsen, the first 17 in 2007, and the other 6 in 2009. 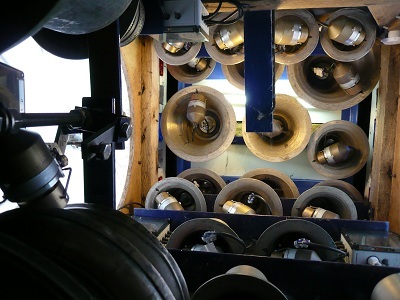 The remaining 9 bells are secondhand bells which have been tuned by Taylors of Loughborough. It is computer controlled with velocity sensitive strikers, and plays a tune on the hour. It can also be played from a keyboard. It has a 3 octave compass in the key of F, omitting the lower F#,G#,C#,F#,G#. Thus it favours the keys of C, F, and Bb. The six largest bells, from F [3 cwt approx] are housed in an extension at ridge level. Approx 5 cwt, cast by G Oldfield in 1656. This is the oldest bell we have, and is only 4 years later than the house. 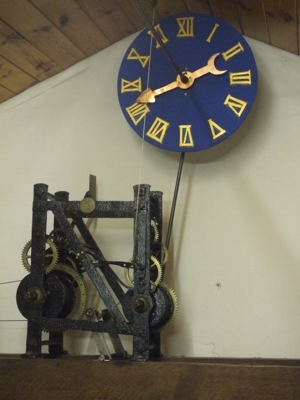 It was cast for All Saints' Church, Scraptoft, and in 2010 replaced the hour bell in F which became the lowest note of the carillon. 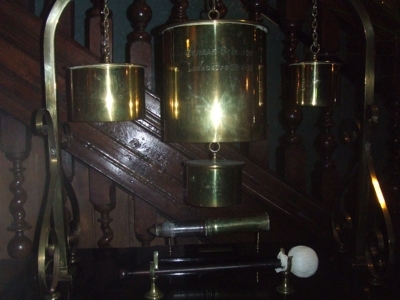 The note is C. It is controlled by the carillon computer with radio synchronisation, and enables the Joseph Smith hour bell of 1755 to be on view below. 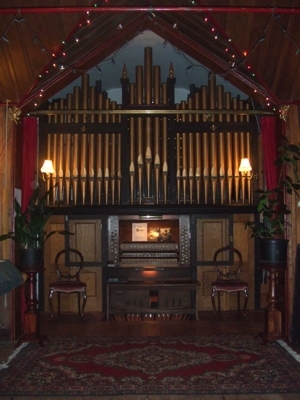 Commissioned by Edward from Joseph Smith of Chester, it was restored in 1987 and is now installed in the Lancelyn Lighting workshops where it can be seen working. 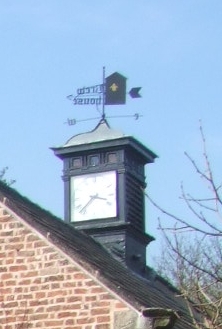 It drives three faces, two of which are on the belfry above, and one by the clock. 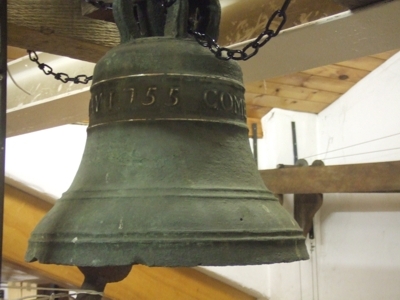 The bell bears the inscription "Come away without delay 1755". 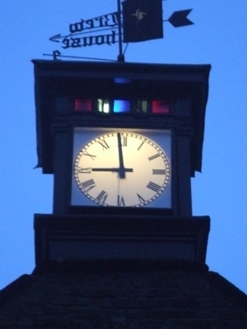 The strike can be run but is normally off as the new hour bell and chime are linked to a radio time signal. On the Victorian wing stands a third belfry which contains a bell which used to call the staff from the farm and garden, and could also be used as a fire bell. 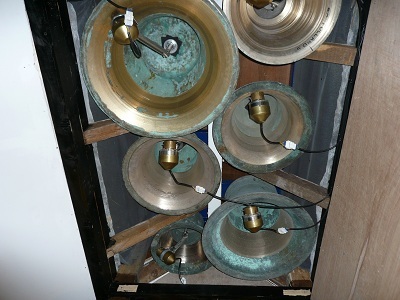 The victorian bell is now hung in the music room, and the present bell was formerly the chapel bell of Lindisfarne College. 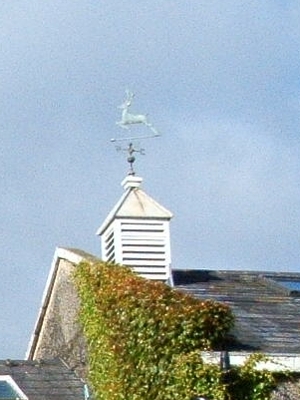 The stag weathervane is a later addition. This is made up from shell cases collected on the fields of battle in the Great (1st World) War. each is inscribed with its gun type and source. Collected by Major Gilbert Arthur Lancelyn Green. The various pitches are random but they ring out well. 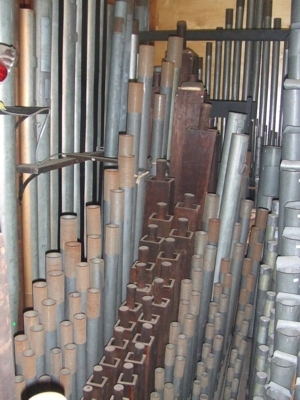 Christopher Wren, while working on St Paul's cathedral, described the organ as "a chest of whistles", probably the most concise four word description possible. Solo (top manual) 8, 8, 8, 4, 4, 4, 2, II, 8, 8(in remote case). Swell 8, 8, 8, 8(TC), 8(TA), II, 8, Glockenspiel(30 notes), Tremulant. Great 16(TC), 8, 8, 8, 8, 8, 4, 4, 4, 2 2/3, 2, 2, 8, 8. Pedal 16, 10 2/3, 8, 4. 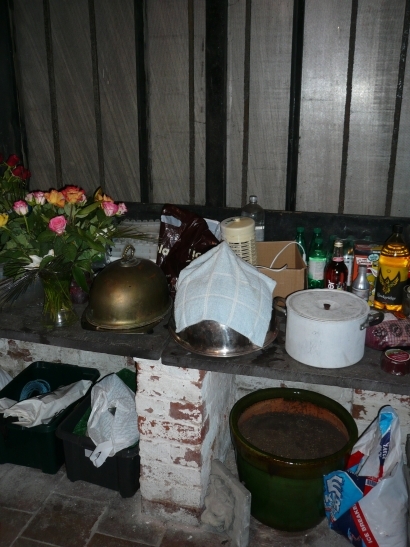 Recitals are generally given on the "King of Instruments" (Mozart's description) when the gardens are open for the National Gardens Scheme days. 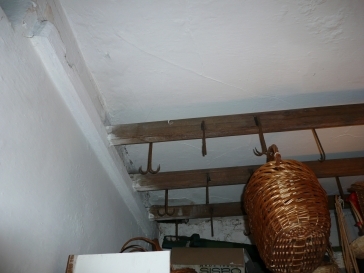 This looks very much like a secret passage, but is in fact a damp course. 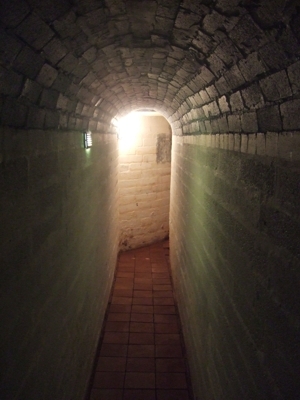 The main wall of the house rises vertically, and the arched wall of the passage is separated from it by a layer of slate. 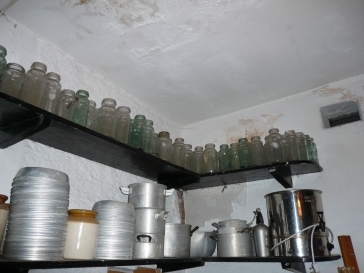 Water runs down the curved wall leaving the main wall dry above about 3ft which is the extent of rising damp. 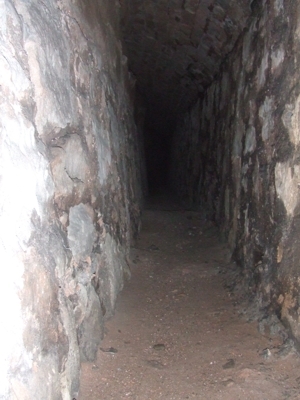 Well this one really is and it's a few centuries later than the damp course, but where is it? 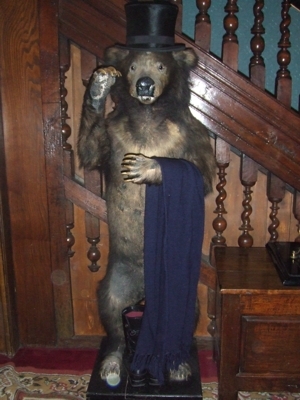 Over a hundred years old, but still young at heart, he will hold your coat for you, and occasionally makes the fourteenth for dinner in case you are superstitious. In the old brewhouse there is still the remains of the brew vat, now boarded over as a stage, but downstairs is the fire hole and chimney. High quality victorian engineering ensures this room is always the coldest in the building. Built on the north elevation, with porous floor tiles and walls to give evaporation cooling from the rising damp, slate slabs to keep cool and deter rodents, and perforated zinc (now being replaced by stainless steel to the same specification) to prevent entry of insects.